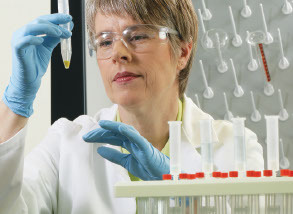 An unsurpassed range to meet the requirements of any laboratory. Each Traceable product is individually serialised, calibrated and certified. An individually serialised Traceable Calibration Certificate provides you with the assurance that an independent auditor has checked the methods, procedures, testing, technique, and record-keeping practices of the calibration testing laboratory. A wide range of affordable digital thermometers, innovative technology such as bottle probe thermometers for refrigerators/freezers and infrared thermometers that suit any application. You are sure to find what you need for your application in this extensive catalogue. Traceable™ timers and stopwatches are factory calibrated to NIST standards. With modern design and a wide variety from which to choose, Traceable timers and stopwatches have your every need covered.Traceable timers and stopwatches are factory calibrated to NIST standards. With modern design and a wide variety from which to choose, Traceable timers and stopwatches have your every need covered. Connected, real-time monitors allow you to put down your pen while recording important work. Setting up TraceableLIVE services couldn't be easier and doesn't require any additional software or hardware. Simply purchase a TraceableLIVE product, connect it to your existing Wi-Fi network, set up an account through the TraceableLIVE website on any browser, and point your device to your account. Within a few minutes, your device will begin to transmit critical data to your personal cloud, and you can also control your device through your smartphone, tablet, or computer. Traceable™ products include timers, stopwatches, clocks, data-logging thermometers, bench thermometers, differential thermometers, printing thermometers, humidity meters, monitoring/alarm humidity meters, barometers, as well as a range of everyday measurement lab tools.